Best known as Dr. April Kepner on the popular ABC series Grey's Anatomy, Sarah Drew caught the eye of the New York theater community even before she earned her bachelor's degree in theater from the University of Virginia. Only months after graduating she was cast in the Broadway production of Vincent in Brixton, and agents came knocking at her door. 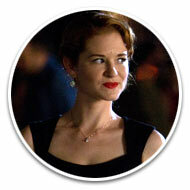 She was quickly cast in her first TV role, a two-year stint on the popular WB series, Everwood. Numerous TV roles followed including in Mad Men and Medium. Sarah's film credits include Radio and American Pastime. Beginning his career as a child actor, Sean Astin has been involved in an impressive group of projects throughout his career. 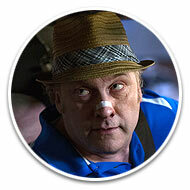 He is best known for his roles in beloved films such as The Lord of The Rings trilogy, Rudy, and Goonies. 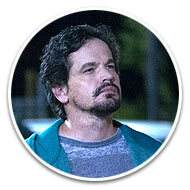 A busy voice actor, he currently stars as Raphael in Nickelodeon's animated Teenage Mutant Ninja Turtles. He received an Academy Award® nomination for the short Kangaroo Court, which he produced with his wife Christine. Sean has directed for TV and film, and his memoir hit No. 1 on the New York Times bestseller list. Two-time Emmy Award winner Patricia Heaton is best known for her roles as Debra Barone in the hit series Everybody Loves Raymond and Frankie Heck in the current ABC comedy The Middle. Patricia, who also starred with Kelsey Grammar in Back to You, was named one of the Funniest Women on TV by TV Guide. Her film credits include Memoirs of an Invisible Man, Beethoven, and Space Jam. On stage, she starred off-Broadway in the Theresa Rebeck play The Scene. 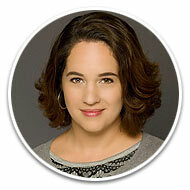 Founder of FourBoys Films, Patricia is an executive producer of MOMS' NIGHT OUT and a producer of Amazing Grace. With his trademark baritone, Trace Adkins has powered hits to the top of the charts and sold more than 10 million albums. The Grammy-nominated member of the Grand Ole Opry is a television personality, actor, author, and spokesman for the Wounded Warrior Program. 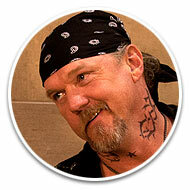 Trace's integrity and wry humor helped him finish in first place on All-Star Celebrity Apprentice on behalf of the American Red Cross. He was in The Lincoln Lawyer with Matthew McConaughey, and developed and hosted GAC's Great American Heroes honoring every-day Americans doing great things. He has also regularly hosted the American Country Awards. England native and Julliard graduate David Hunt is well known as the nemesis neighbor to Ray Romano in the hit series Everybody Loves Raymond. He played Darren McCarthy in Day 6 of the suspense series 24. A producer and director as well, Hunt directed The Bituminous Coal Queens Of Pennsylvania. 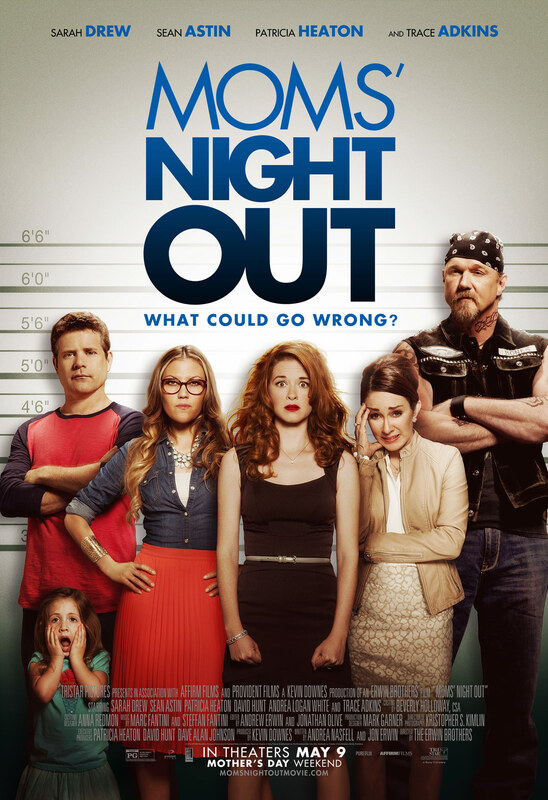 David and his wife Patricia Heaton are the executive producers of MOMS' NIGHT OUT and producers of Amazing Grace. Actor, writer, and producer Andrea Logan White jumped into modeling and auditioning at age 18, leading her to Hollywood and a career start in music videos and appearances on such shows as Fear Factor and The X Show. Her film credits include Hidden Secrets, Sarah's Choice, In the Blink of an Eye, Marriage Retreat, and Revelation Road. She also co-produced and starred in Me Again. She and her husband David birthed the idea and original development for MOMS' NIGHT OUT. With a passion for health and fitness, Andrea also is a fitness trainer for celebrity clients. With a love for musical theater and film, actor and singer Robert Amaya is best know for his breakout role as Javier ("Snake King!") in Courageous. Since then, he has appeared in October Baby, Unlimited, and A Long Way Off. Robert is a former vocalist with the critically acclaimed Walt Disney Voices of Liberty and has performed in award-winning productions of Les Miserables and Miss Saigon. A sought-after motivational speaker, Robert travels the nation and internationally for various organizations, schools, churches, and charities. 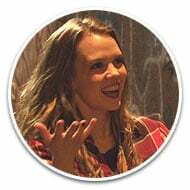 Abbie Cobb has enjoyed roles on dozens of top TV series including American Horror Story, NCIS: LA, Grey's Anatomy, Bones, The Mentalist, and CSI: Miami. She has had recurring guest roles on 90210, Suburgatory, and The Secret Life of the American Teenager. She has also appeared on Good Luck Charlie: It's Christmas, Jonas LA, and Imagination Movers. Mentoring and connecting with aspiring actors is also a big part of her life. A sought-after keynote speaker at acting conferences and workshops, Abbie is the author of Stuck on a Ferris Wheel, a book that informs and encourages actors. 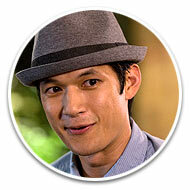 Harry Shum Jr. is known for his starring role as Mike on Glee! Harry also starred in the independent feature White Frog and has appeared on Boston Public, Zoey 101, Greek, and iCarly. His acting and dancing talents are seen in Step Up 2: The Streets and Step Up 3D. Harry is also the co-founder/executive producer of REMIXED, a YouTube show on the DS2DIO Channel that brings together dancers and musicians for a one-of-a-kind collaboration. He also starred in and co-choreographed The LXD. Harry has danced with many artists including Destiny's Child, Beyonce, Mariah Carey, and Jennifer Lopez. 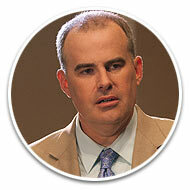 A director, writer, editor, and actor, Alex Kendrick helped create the hit films Courageous, Fireproof, Facing the Giants, and Flywheel. Alex had lead roles in all of those films except Fireproof and directed and co-wrote all four movies. He and his brother Stephen Kendrick helped found Sherwood Pictures, which produced those films; they now helm Kendrick Brothers Productions. Alex also appeared in The Lost Medallion. Alex is also the bestselling co-author of a number of books, including the New York Times list-topper The Love Dare. Actress and comedian (and former NFL cheerleader) Anjelah Johnson became an Internet sensation with her viral video "Nail Salon," which led to a regular role on MADtv. Her next online video, "Bon Qui Qui," was seen 55 million times! In addition to performing live comedy, Anjelah has guest starred on The Shield, Ugly Betty, and Curb Your Enthusiasm, while her film credits include Our Family Wedding, Alvin and the Chipmunks: The Squeakal, and Marmaduke. 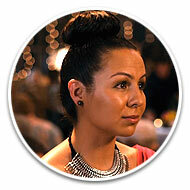 A native of San Jose, she now lives in Los Angeles with her husband Manwell Reyes. 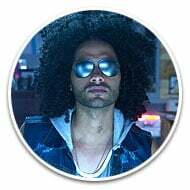 Manwell Reyes is best known as the front man for Group 1 Crew. Born in Germany to military parents, Manwell lived around the world before moving to Florida for high school and college. He formed the band in 2003 and three years later, they signed with Warner Brothers. 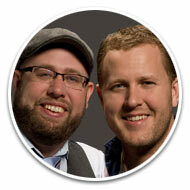 The band has since earned 5 Dove Awards and a faithful following. He moved to Los Angeles in 2009 to pursue acting and modeling. 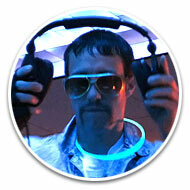 In addition to finding success, he met his wife Anjelah Johnson. He's currently partnering with Nuvo TV and Vevo on a new TV show. Sammi Hanratty has been acting for more than half of her life, and has worked with some of Hollywood's biggest names including award-winning director Robert Zemeckis, Simon West, Barry Sonnenfeld, Jim Carrey, Robin Wright, Gary Oldman, Cary Elwes, Ray Liotta, Cuba Gooding Jr., Jon Hamm, and Tim Allen. In 2013, she wrapped principal production on three feature films: MOMS' NIGHT OUT, Zoe Gone, and The Christmas Spirit. Sammi's extensive television credits include guest starring on Mad Men, Monday Mornings, The Saint, The Unit, Pushing Daisies, and The Suite Life of Zack and Cody. Jason Burkey is an award-winning actor based in Atlanta. He has starred in multiple feature films, including the 2012 surprise box-office success October Baby. Industry standard Variety said he "hit all the right notes." Jason recently made his television debut in the CBS pilot, The Surgeon General. Other film credits include A Matter Of Time, A Long Way Off, Rumors of Wars, Losers Take All, and The Screenwriters. Jason also starred in the indie hit 10 Commandments of Chloe, winning Best Supporting Actor at the L.A. Movie Awards and earning a Best Actor nomination at the Maverick Movie Awards. Best known for his role as Shane Fuller in Courageous, Kevin Downes has been acting, producing, directing, and writing films since the 1990s. He debuted in the youth ministry film The Crossing. Kevin has produced numerous films including The Moment After, Mercy Streets, and the critically acclaimed Like Dandelion Dust, based on the best-selling novel from Karen Kingsbury. Most recently, he produced the youth-oriented action-adventure film The Lost Medallion, and stars in To The Wall, a film he also co-wrote and produced. Behind the camera, Kevin most recently directed Amazing Love. The Erwin Brothers—Jon and Andy—are a directorial duo from Birmingham, Ala. Jon and Andy started their career as teenagers, working as camera operators for ESPN. The brothers eventually worked on events including XGames, NFL, NBA, and the Super Bowl. Beginning in 2005, they found great success in the world of music, directing music videos and live concert videos for artists Amy Grant, Michael W. Smith, Switchfoot, Skillet, and Montgomery Gentry among many others. They have received 10 nominations and won three consecutive Music Video of the Year awards at the GMA Dove Awards. They are veterans of nearly 100 music videos and concerts. Their diverse portfolio also includes award-winning documentaries (The Cross and the Towers) and televisions series (Alumni, Real Strength). In 2010 the brothers shifted their focus and stepped into the world of dramatic feature films. Their debut feature, October Baby, a coming-of-age drama, was a breakout success. Andrea Nasfell is an award-winning screenwriter who, in addition to co-writing MOMS' NIGHT OUT, has also written the family films SILVER BELLS and CHRISTMAS ANGEL, the most-watched movie on UP TV in 2012. Two of her movies, CHRISTMAS WITH A CAPITAL C and WHAT IF..., were nominated for Epiphany Prizes. The former also won the Faith & Freedom Award from Movieguide. A graduate of Act One: Writing for Hollywood, Andrea frequently serves as a script consultant and screenwriting lecturer. She lives with her husband and two children in Los Angeles.